Based on a true story that's still being told, "The Terror" uses historical fiction to explore what surfaces in men when they're faced with the ultimate test. What is “The Terror”? The terror is many things, all of them great — in size, scope, or both. The Terror is the name of a sailing vessel that set off from England in 1846, one of two sent on a mission to forge a trading route through the Northwest Passage, and two of two that vanished without explanation shortly thereafter. But the terror is also the cold that stopped them; the mind-numbing temperatures that froze the ships in place and slowly melted the sailors’ minds. Still yet the terror is some thing out in the cold. It’s a beast, if you believe that, but whatever it is shows no remorse, spares no one, and moves swiftly, picking off the sailors before the temperature can claim them. Symbolically-minded viewers may wonder if the terror, in all its forms, is really only the cold. Are the ship and the beast representative of man clashing with Earth’s natural forces, chillingly illustrating how effectively the world can destroy us if tampered with? Perhaps. But it’s clear the terror is us. The terror is them. Most of all, “The Terror” is an exceptional series of surviving in the face of real yet unimaginable horrors, and in blending the two, AMC has one helluva frightfest. Created by David Kajganich and guided by fellow showrunner and executive producer Soo Hugh (along with E.P. Ridley Scott), “The Terror” is a 10-part limited series that tells you its entire plot via succinct introductory title cards: Two of “the most technologically advanced” ships of the era, the HMS Terror and the HMS Erebus, set out through the Arctic passage and disappeared. The final line claims they “vanished,” but this isn’t entirely true anymore. After Dan Simmons’ book was written and before the series was released, the ships’ remains were discovered. More is now known about the fate of the vessels than what speculation plays out in the series, but that’s no matter: This is historical fiction, and it’s historical fiction charged by purpose. 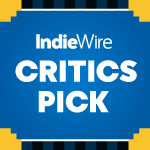 For those interested in theorized ramifications and their carefully considered meanings, “The Terror” offers an engrossing exploration of the doomed voyage from a fictionalized yet honest point-of-view. Events may not have played out exactly as depicted, but there’s nary a moment that feels unearned. Credit, in part, goes to Jared Harris and an exceptional cast of traditionally supportive or little-known actors. Considering much of the tale takes place in isolation, out on the ice (other than a few choice flashbacks to England), the acting has to be top-notch to sell so much conversation. Largely, they do. Harris goes through a considerable arc in 10 hours, handling drastic time jumps and subtle shifts with equal insight. His Captain Francis Crozier is a flawed man, but strives to carry himself with honor. He’s not above the madness that gradually grips his fellow officers (notably, Tobias Menzies and Ciarán Hinds), nor is he on the gradual descent to darkness so often seen in extreme survival stories. The few characters who’ve lost hope are carefully hidden until there’s no turning back, while others swing back and forth between inescapable slips and conquerable challenges based on well-placed pieces of backstory and calls to action. On par with the unbelievable performances are astonishing CGI and visual effects. 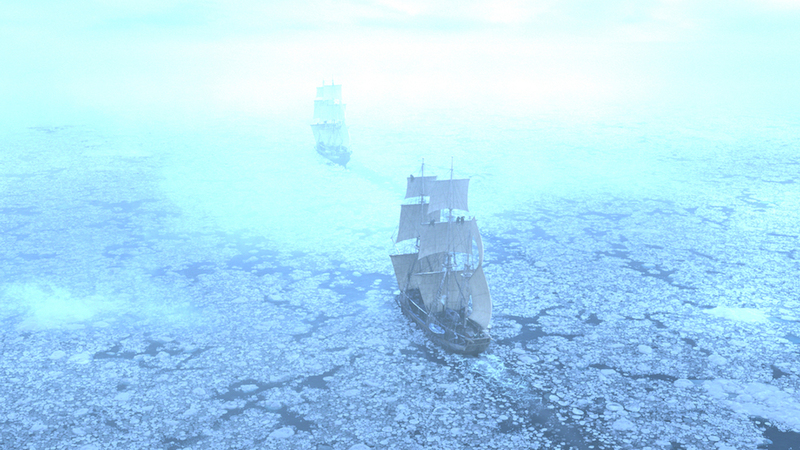 “The Terror” looks like it shoved its actors out onto the ice and said, “Good luck.” Perhaps the cast and crew retreated to heated tents between takes and slept in cozy hotels a few miles from the shooting location, but it’s impossible to believe they were shipped off anywhere south of Greenland. And yet just about everything was shot indoors, in a studio in Budapest. Pieces of fake ice were snapped together and the doors were left open to bring in an authentic chill, but the feat of visual wizardry proves as stunning as it is valuable: Not for one second do you not feel the burning cold enveloping these men, and it adds considerable heft to the horror. The only potential drawback to the series is by design: While using a mysterious monster to intermittently stir up action certainly livens things up, there’s a particular type of patience required while wading through these icy waters; a distinct willingness to engage with hopeless pursuits in order to understand what drives our shared hopeless pursuit. Life — what makes it worth living? When removed from external influence, what still matters and what loses meaning? It’s easy to give up, what’s harder to rationalize is why giving up makes sense. There are situations in “The Terror” you’ll want to look away from (the ending, especially, is not for the squeamish), but Kajganich and Hugh have crafted each scene so purposefully (and with such exquisite detail), you can’t help but dive into the darkness with them. The terror creates madness, and one could argue there are parallels to the world we live in. Sure, most Americans are landlocked, our cities warming by the day, but we’re all still caught up in a mad, self-perpetuating cycle of fear. If that’s your entry point to “The Terror,” so be it, but it doesn’t have to be. The terror is many things, and one of them is bound to get you. “The Terror” premieres Monday, March 26 on AMC. New episodes air Mondays at 9 p.m. and all episodes are available now via AMC Premiere.